You must make reservations at least 5 minutes in advance of the time at Il Cielo Gardens Restaurant & Bar. Lunch - 11:30 a.m. to 3:00 p.m.
Dinner - 5:30 p.m. to 10:30 p.m.
Dinner - 5:30 p.m. to 11:00 p.m.
Food 5:30 - 8:00 p.m.
We offer catering in your home or ours. Please contact our Events Department. For sit down dinners: Approx. 130-150 guests. For standing cocktail receptions: Up to 350 guests. Benvenuti! 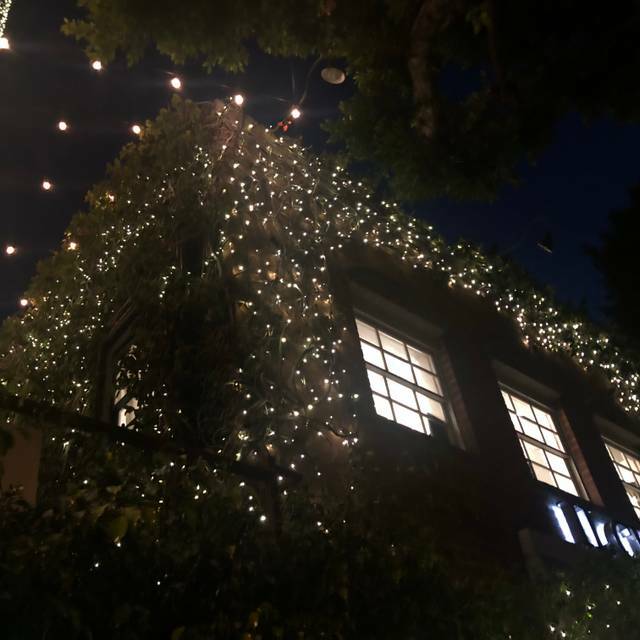 For over 30 years , Il Cielo has brought "the sky" to Beverly Hills. 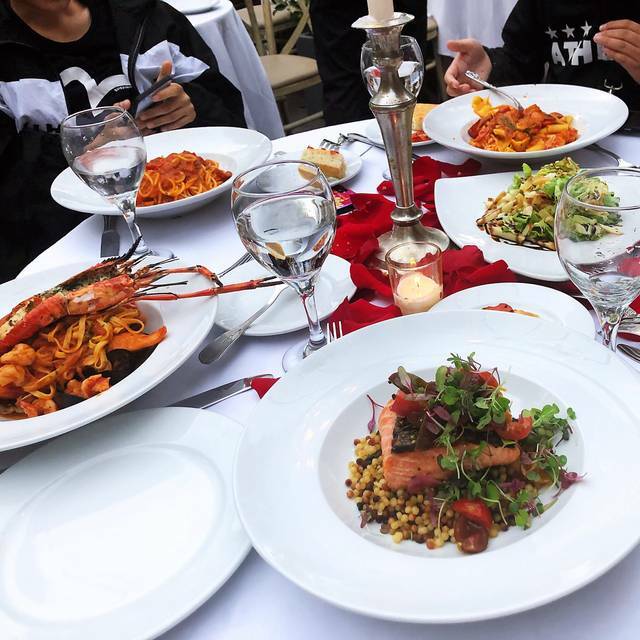 Often called "the most romantic restaurant in Los Angeles" Il Cielo is more than just an Italian restaurant. It is a landmark. 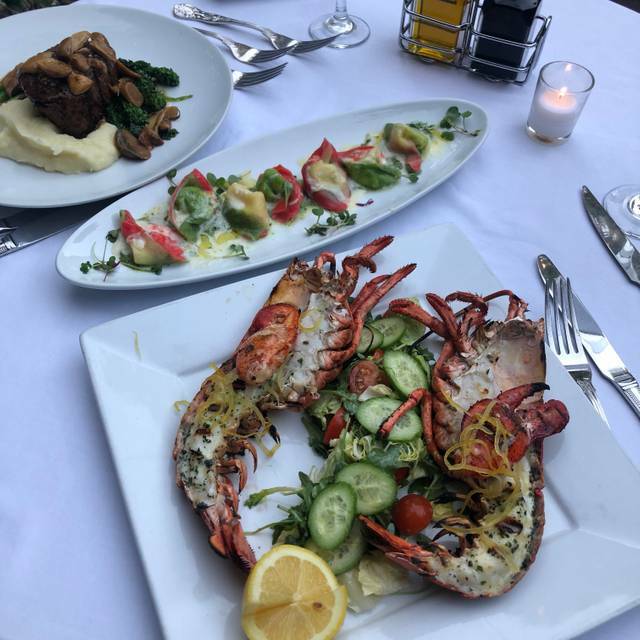 With fine dining for lunch and dinner, private rooms and tranquil gardens, Il Cielo is the perfect location for almost any occasion, day or night. 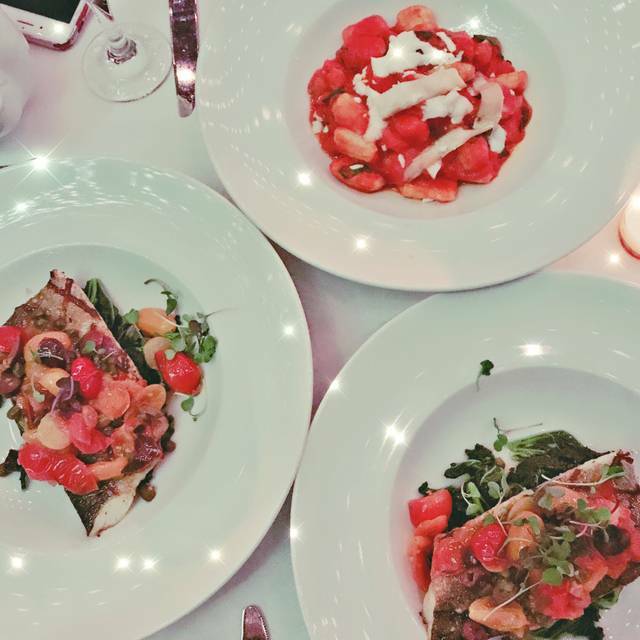 Il Cielo has established itself as a place to impress; "A country restaurant in the city". We look forward to your visit. Amazing place to celebrate a special occasion or just want to enjoy an upscale meal experience. Try the bar before sitting for your meal. It was beautiful and the food was amazing! The tricolor tortelli was so good. I had requested a good table for my wife’s birthday well in advance. We got stuck with a terrible table that kept wobbling and was in non ideal location. 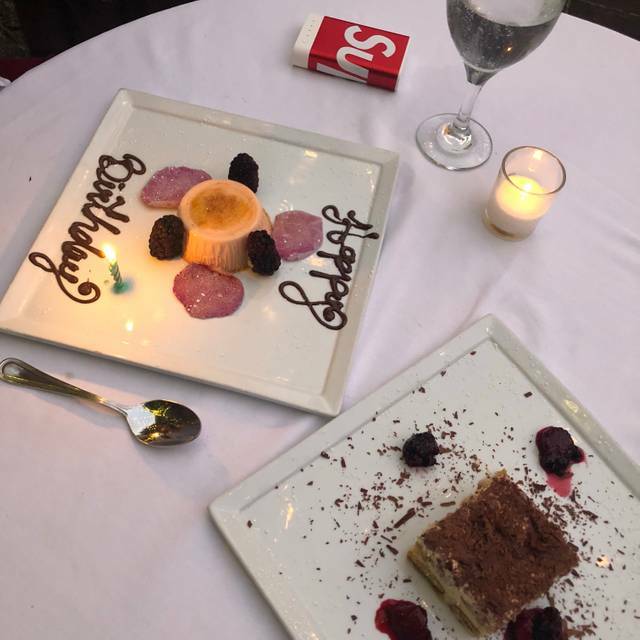 They didn’t remember that it was her birthday and the food was highly over priced and not up to the standard they charge. The desserts were amazing and the waiter was top notch! Fairly disappointed in our experience. Great service. Quiet and intimate. It was a week night and it was not crowded. We were able to have a conversation! Great restaurant for date night! Food was exceptional, and the ambiance was very nice. The overall service, in terms of the wait-staff were great, very kind and fast service. However the host and GM (I think he was the GM or a manager of some kind) specifically were quite rude. The host was possibly a bit flustered when we walked in but he rudely asked if I had confirmed the reservation I had made weeks earlier. I said I had not relieved a message to confirm but I was happy to wait in the bar as it was sorted. We didn't end up waiting very long. The food was great over all - the portions were a bit small, but it tasted fantastic. My partner ordered a dish that was quite good - we both tried it and then the waiter offered Parmesan so my partner said yes. The GM came over moments later and made a joke about wanting to reach across and smack my partner for putting cheese on his dish. We both made an awkward laugh and the man kept talking about how the cheese took away from the flavor and how we should have tried it first. My partner and I have both worked in restaurants so we understand how sometimes things get busy and maybe the GM just ran out of things to talk about. But not only was he rude, he just wouldn't let it go. It was a bit much. All in the all the food tasted great, the wait staff was great, the management was not; however, we were both pretty hungry when we left (after 2 appetizers, 2 main dishes and dessert) so we went home and ordered a pizza. Came here for dinner with my gf and the entrance was divine. Overall service was great and food was delicious, definitely try to get one of the pastas as they were out of this world! Only issue I found was that I had ordered the rose petals special but that wasn’t received at the right time and instead in the middle of the dinner when I asked for it, but they did remove the cost. However, it wasn’t as special a moment I would have liked. All in all however, it is a great place and I would definitely go back again. Birthday dinner for Spouse. Expensive but worth it. Service was excellent. Food was really good. Dinner special was better value and wished I had ordered it rather than ala-carte. Food exceptionally flavorful. Valentines Day celebration. Great dinner, service was great did not feel out of place. Food was delicious lobster pasta was really good. Overpriced and underwhelming. The food was absolutely forgettable... The venue was just a decked out wedding tent which is nowhere near romantic. Don't believe the hype, this place was disappointing. Has been our favorite restaurant in LA for years and this year was no exception. A great place to go for that special dinner. Best dining experience ever! Absolutely in love with this restaurant. A really great experience. Wonderful atmosphere and service. We made classic Italian cuisine. The only deficiency was one of the pasta dishes was served warm and not hot. It was al dente though and the other pasta dish was perfect. Fine reasonably priced wine also. the rertraunt was excellent, ambience etc . my only issue was the waiters attentiveness. He was either too busy or didnt have enough customer service training. The portion of the food is very very small, the money they charge is very high for the quantity they serve. when my waiter brought the food, he said, "I know the portion is very small. " After I left the restaurant by paying almost $ 200.00 for 2 people, both of us went to subway and got 2 sandwiches. The y should pay more attention to this matter, generally speaking is a good place. The general manager, Kevin, was exceptional, as was our waiter who stood on a chair to take our photo. Thank you! Outstanding service from valet to table side service and even special requests for the kitchen. Fantastic table side attention. My Wife and i felt like the staff wanted our Anniversary dinner to be a special event, and not just another cover. Well Done! Took my mom out for lunch. She wanted pasta with creamy white sauce but it was quite what she wanted. The broccoli cheese soup and my white fish was delicious. The service is always great here. I love this place. One of the most beautiful and romantic places. The service was great, everyone was friendly and the manager Kevin was so attentive. The food was superb. The ambiance is incomparable. The service was attentive, prompt, professional and welcoming. 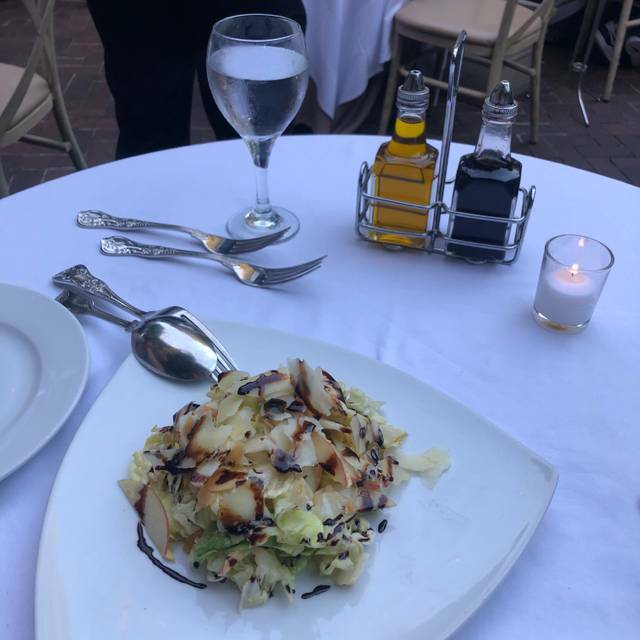 Beautiful outdoor garden patio, attentive but not cloying service, fresh and delicious cuisine! The total package. Super romantic setting. We had rose petals on our table in a private room for our anniversary. We will be going back again! The place is indeed lovely and perfect setting for our date night. I ordered the fillet mignon carpaccio and mix seafood pasta and both were very good. Marco who waited on our table was nice and attentive. Our glasses of water were never empty. The manager Kevin even came to our table to check if everything was to our liking. On our way out, most of the staff greeted us goodbye and Kevin even called out my name. I'm really impressed with the level of service and definitely would consider going back. Another lovely evening at a beautiful setting. The outside patio is beautiful though it can be a litlte chilly we wre preraed for that. The entrees were excellent as were the appetizers for the most part, the only things that was not really fines was the octopus salda. the flourless chocolare cake was outstanding. Awesome experience.....will definitely go back! Service, atmosphere, and food were fantastic. Restaurant is beautiful and service was great. Tables are close together and if you get an obnoxious couple next to you (like we did) it’s loud. The salads were great, but my pasta (bucatini) was way too salty. It was flavorful and delicious but would have been much more enjoyable if less salty. I informed the waiter and he was gracious and gave me a lemoncello. (I ate most of the pasta as I was starving so I didn’t expect anything) overall great meal that would have been excellent. When I made the reservation for DINELA I was only given 2 time options - 530pm or 730pm. I really wanted 630 but OPEN TABLE did NOT give me that option. We took the 530pm reservation but, was very upset because the restaurant was almost empty until almost 8pm. We were very confused and didn't understand why we weren't given the time option we wanted. I spoke to the Hostess about it and she said it's better to just call the restaurant directly when OPEN TABLE only 2 gives 2 options. She also said sometimes they don't receive the reservation from OPEN TABLE. I've used OPEN TABLE for years and was very disappointed when this happened. I'm going to take a break from using it for awhile and call a restaurant directly. The dinner at IL CIELO was terrific as was the service and ambience. Lovely setting and outstanding service. 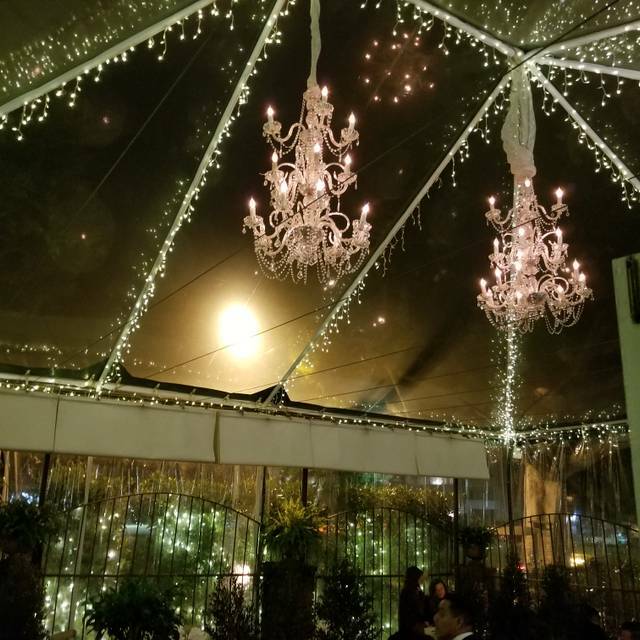 Known as one of LA's most romantic restaurants for a reason - I'd recommend an outside table. Has a feel of the Ivy about it, but less formulaic in its design. Their lunch menu is really reasonably priced so our bill wasn't crazy. Of our dishes, the pastas looked like the pick of the entrees. Place was quiet, but then it was a Tuesday afternoon. As usual they are the best! 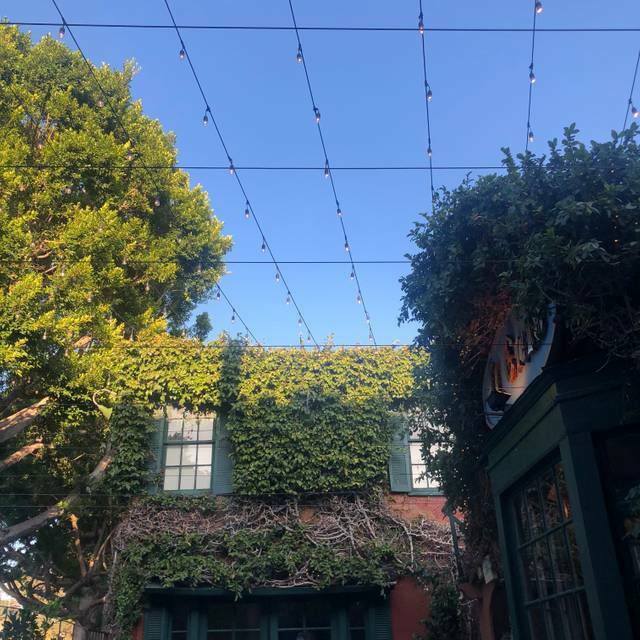 I moved to LA from Italy a few years ago, and this restaurant is authentic beside very romantic. The only complaint I have was that the waiter did take a bit longer to get to us not just once but through our dinner. 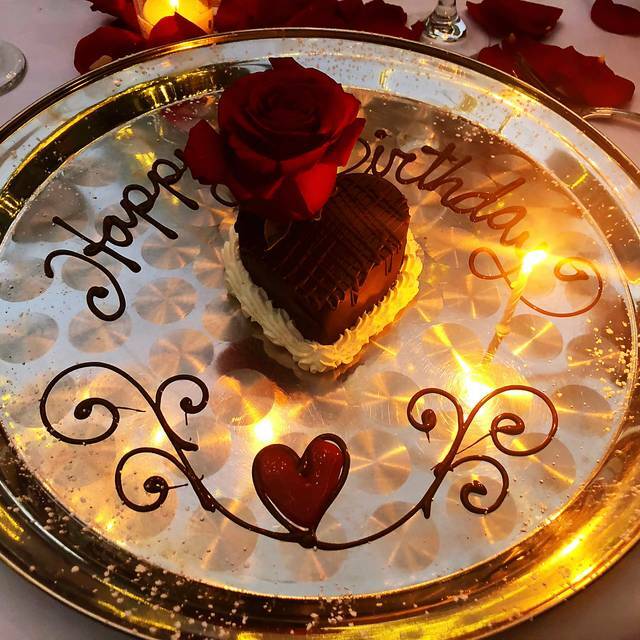 Other than that the food was delicious and the surprise birthday cake my boyfriend arranged was beautiful. Absolutely beautiful setting! The panacotta with sugared rose petals was incredible! Really pretty patio! The food was great. Great experience, will definitely return. My husband and myself have been coming here for years. The food, décor, ambience, and service are top notch! We both look forward to our next visit.